South African President Jacob Zuma’s State of the Nation Address will be remembered for violence – and not much else. By Judith February for ISS TODAY. “I must declare upfront that the mayhem that transpired in this House last Thursday is highly regrettable.” That’s how Jeff Radebe, Minister in the Presidency responsible for Planning, Monitoring and Evaluation, opened the post-SONA (state of the nation) debate this week. He then exhorted us all to “find our moral compass” and”‘restore the dignity of the House”. It was hard to disagree with Radebe, even as it is his boss who has done more to strip the office of the president of its dignity. February 9, 2017 will be remembered as the night South Africa politics shifted in an even more dangerous direction than the same occasion in 2015, when signals were jammed in Parliament and the Economic Freedom Fighters (EFF) had been evicted forcefully by the “white shirts”. There were no winners that night. This year, Zuma’s deployment of soldiers and the unprecedented security around Parliament set the tone for SONA – combative. It also sent a chilling message that those who dare oppose him will feel the weight of the state security apparatus. It is also part of a greater narrative of the securitisation of the state under Zuma and his Minister of State Security, David Mahlobo. Some serious questions need to be asked about the deployment of the South African National Defence Force (SANDF) to Parliament lest this become “the new normal”. Which units of the South African Police Service (SAPS) and the SANDF were deployed to Parliament this year for SONA; the number deployed; and the reason for their deployment are but three key questions we need to have answered. The Speaker of Parliament and the president both need to clarify their roles in securitising Parliament. Radebe is right. Parliament as an institution has been damaged – perhaps irreparably. On the one hand, there is an unaccountable, corrupt president whose party seems incapable of dealing with his constitutional deviance. This has created paralysis not only at the heart of the state, but also in Parliament. On the other hand, there is the EFF, determined to continue the tired politics of spectacle and create an intolerable situation in Parliament. The EFF came to Parliament spoiling for the fight, and while it is so that Zuma has breached the Constitution and has not been properly held to account, their disruptive strategy has its limits. Thus far there have been open calls for Zuma’s resignation, but it’s hardly a revolution. In Romania and South Korea, sustained protests have drawn a far greater response on the streets and in the corridors of power. So, the EFF cannot expect to gain through disruption what it cannot gain through the ballot box. As expletives were flung liberally around the House during the fracas, the Speaker’s role has again come under scrutiny – and rightly so. Baleka Mbete’s position as Speaker has long been untenable. She is the Chair of the African National Congress (ANC), and also has political ambitions to become president. Alarming as such a thought may be – and perhaps she is suffering from delusions of grandeur, and as EFF leader Julius Malema tried to remind her, she simply cannot be neutral or even show any semblance of impartiality. So every ruling made by Mbete is tainted by her own bias or perceived bias. Her refusal to allow the minute of silence for the Life Esidimeni victims was churlish, but her failure to even consider it showed only her consistent aim to cover for either Zuma or an ANC government which has lost its sense of decency. Replacing Mbete by someone with less raw political ambition would go a long way to dissolving some of the tensions in Parliament. The points made by both the EFF and the Democratic Alliance regarding riot police in the precinct, and alleged SAPS infiltration in the House, were perfectly valid and democratically important. The Speaker, however, dismissed all the security-related questions with undue haste – again indicating her disregard for valid opposition. The post-SONA debate this week has been equally underwhelming. For a country straining under the weight of inequality and myriad challenges, the solution now seems to be “radical economic transformation”. Gwede Mantashe recently said the ANC would have to “dig deeper” to find its meaning, though that has not stopped the ANC from spinning the yarn post-SONA. It would mean an amendment to s25(2) of the Constitution. Just last year, the Expropriation Act was passed, which allows the state to expropriate land in the “public interest”. Quite how radical the ANC government is prepared to be on land remains to be seen. It certainly was not reflected in other parts of Zuma’s speech. That is all familiar territory for the ANC. 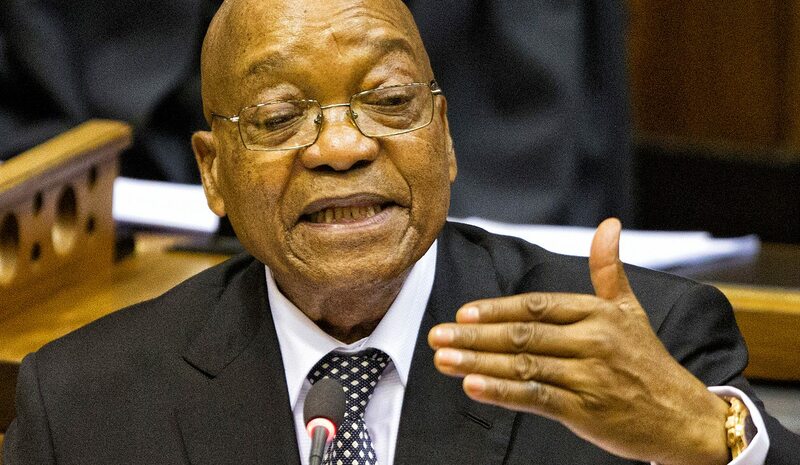 Much of what Zuma spoke of seems pretty much the same as what we have heard all along related to changing ownership patterns, real empowerment and the creation of a class of black industrialists.